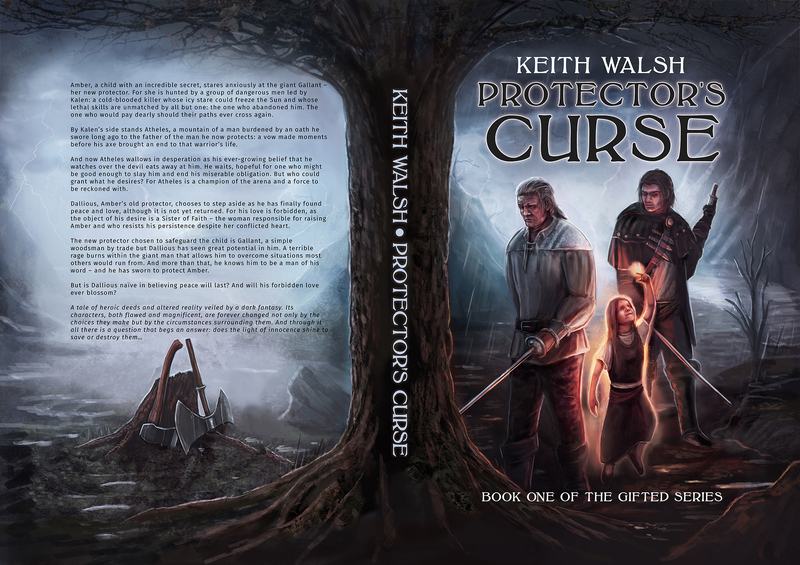 I had the pleasure of working with Keith Walsh on his cover for the novel Protector’s Curse. The characters were fun to portray from the vivid descriptions Kieth gave me. The protector on the left, hardy and tired, a reluctant hero. The innocence of youth in the centre and cold devious schemer at the back. I love the front of this book, but there’s something about the simplicity and suggestion of the rear cover that I really like. A woodcutters axe, next to a battle axe, suggests a choice, between peace and war.